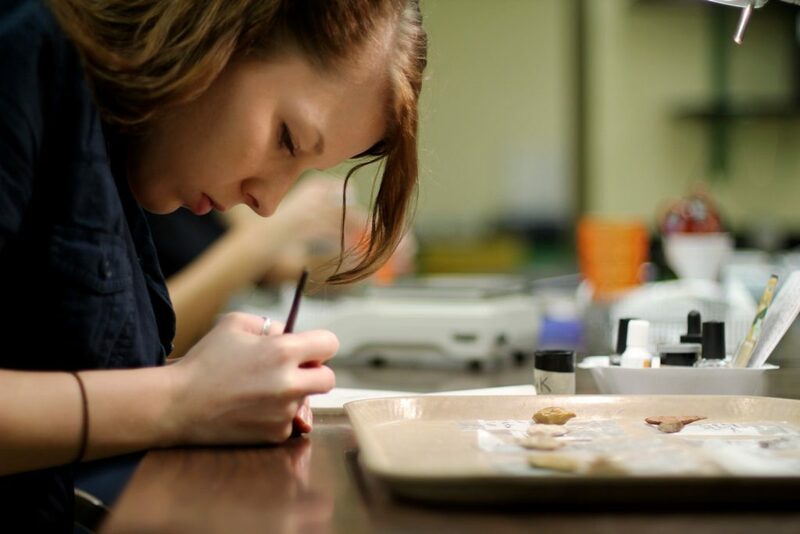 The College of Arts and Sciences encourages undergraduate students to pursue independent research and creative experiences, and it provides a range of support for such endeavors. Undergraduates in every discipline across the College — about one-third of our students — work on independent research and creative projects under the guidance of faculty mentors. Students conduct research in humanities fields like English, history, and political science. Those interested in the fine and performing arts undertake projects in areas that intrigue and inspire them, like dance, theatre, music, writing, and art. And within our science and math departments, students work alongside faculty to test hypotheses and push the boundaries of knowledge and technology. Browse the winners’ list from the most recent URSCA Summit for a quick overview of the range and variety of projects undertaken by our undergraduates. The Council on Undergraduate Research, a national organization, defines undergraduate research as “any inquiry or investigation conducted by an undergraduate student that makes an original, intellectual, or creative contribution to the discipline.” This sets a high mark for success. Undergraduates may not attain this goal, but they and their faculty mentors work together in a process that improves the student’s learning and contributes significantly to new understandings of important issues. Why Get Involved in Research? Our students’ research may take many forms but the end products are deepened learning, enhanced understanding of their disciplines, and improved ability to communicate. The most immediate benefit is that it changes the student’s experience as a learner. Before becoming involved in research, students study the findings of others. Upon becoming involved in research, a student begins the process of creating knowledge. Students involved in research clarify their own interests, learn new skills, develop collaborations with faculty and other students, and have experiences that prepare them for professional work. They connect learning in different fields of study, and view their learning in broadened contexts.